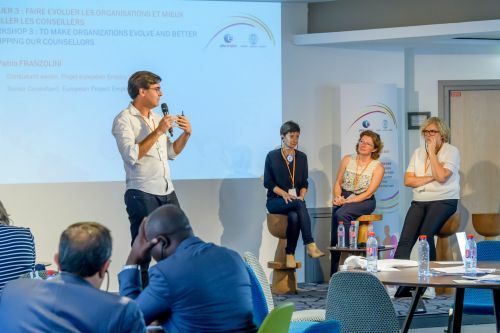 EmployID presented at the “WAPES Paris 2017 Atelier” organized by PoleEmploi. Pablo Franzolini[Enzyme] presented the Identity Transformation concept . Also, Mr. Franzolini was one of the 3 speakers on a panel discussion about new approaches to support PES organizations innovations towards 2020 and beyond. Pablo presented a pasionate position about how we need to empower our PES practitioners with skills and tools that would enable them to move up a level their lifelong learning path with the more systemic Identity Transformation focus, enabling them to be the engine of innovation at our European PES organizations.